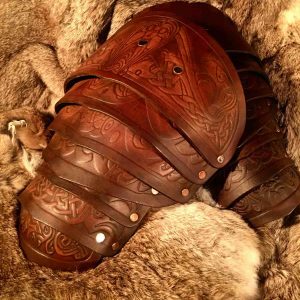 The Vendel Raven SCA Leather Greaves are designed to complete the Vendel SCA leather armour set, but they are also available as a stand alone accessory. Made from premium grade top grain Veg Tanned leather (laminated to a minimum 6mm thickness). They are hand cut before being water formed and hardened. Next, they are hand dyed and embossed before the signature Black Raven Armoury Battle hardened look is applied to finish. 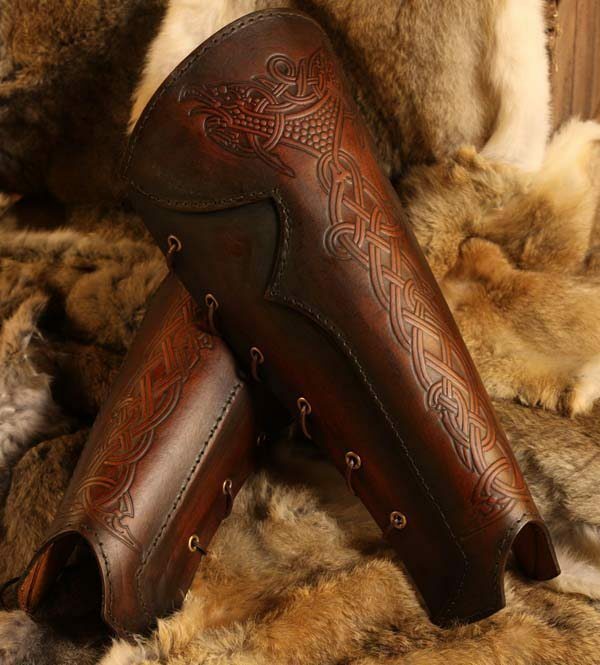 The Vendel Raven SCA Leather greaves are great for anyone who wants comfortable yet functional leg protection for SCA, battle re-enactment, theatre productions or film work. 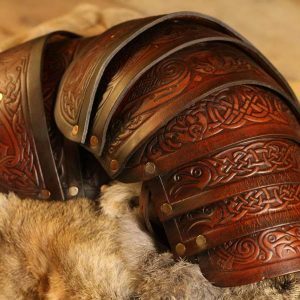 This armour is 100% suitable for a variety of uses, SCA events, cosplay, renaissance faire or theatre, stage or big screen productions. ?I saw him take an arrow in the knee…I swear I did… it was south of Village of Fiddlesworth, he just plucked it out and off he rode like nothing had happened. ?